An embargo simply means that you are asking reporters and editors to hold off airing the story until the time you specify – usually it’s the time your news conference begins. If you write “embargoed until 10:00 AM, April 30, 2010″ at the very top of your news release in big bold letters, for example, then you are asking reporters to honour the embargo, and not air or print the story before that time. If your news release is distributed on the newswires or through your email broadcast system at exactly the time of the news conference, you don’t really need to embargo the story. But if you’re sending out the release a few hours beforehand, then it is important that you embargo the story for the time of the news conference – otherwise, the story might be broadcast or printed in advance, and there will be less incentive for other outlets to attend; the story will be that much less “new”. Many groups consider offering a strategic leak or “advance” to one reporter (usually a newspaper reporter) the day before. The key consideration here is whether you are asking the reporter to honour the embargo. This is what we are calling an “embargoed advance”. There are pros and cons to this approach. Benefits: allowing a trusted reporter to have earlier access to the story allows them to build a richer piece, including more elements, and to develop a deeper understanding of the issue. The story may be larger or longer, and it may have more images. A second advantage is that you can potentially develop a better relationship with that reporter, becoming an even more valuable “source” for future stories. Risks: The more time a reporter has with your perspective, the more time they may have with the perspectives of opponents, if any. It is the reporter’s job to seek other perspectives on an issue. By giving them more time to do this, your reporter may then contact the “other side” for comment. Not only does this mean that the very first story on the issue is more likely to portray different arguments (rather than just yours), but your opponents (if you have any) may be “tipped off” about the story. A second risk is that the reporter, or even their editor, may not honour the embargo. This is discussed more below. If you are “leaking” or “advancing” the story, but not requesting that the reporter honour the embargo, the story may appear on the morning of (or even day before) your news conference. Often radio stations or TV outlets will ask to release the story that morning, before the news conference. And if your story is newsworthy, there is almost always pressure from news outlets to allow them to cover and release the story before the news conference. This is what it means: If your story is “embargoed”, but you then allow a reporter to release the story before the news conference, you yourself are breaking the embargo. There are potential benefits and significant risks to this approach. The advantage: your early-release story may whip up even more excitement among the media and generate more news coverage than it otherwise would. Or, if the news conference itself doesn’t draw that much attention, you may be lucky, and end up with at least a single (hopefully large and favourable) story in the outlet to which you advanced the story. But reporters don’t always deliver. Sometimes their editors kill the story before it is printed or aired. Other times they themselves determined that it just isn’t that newsworthy, compared to other news priorities that day or week. Still other times, the story may appear – but it might be small, buried in the back pages, or unfavourable, in terms of how the issue is framed or your group is portrayed. Deciding on what to do can be nerve-wracking. It’s rather like a game of “chicken”. Usually, groups doing news conferences are nervous – if a reporter seems genuinely interested in a “scoop”, it is extremely tempting to consider offering them one, in hopes that they will indeed be able to deliver a major story. But there is a tremendous risk to both you and your organization. 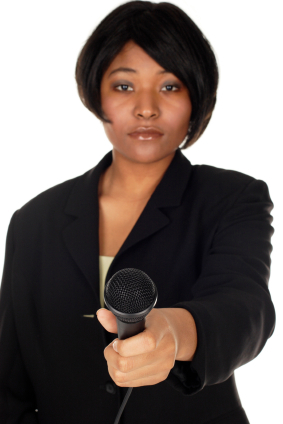 In breaking your own embargo, you may well damage your credibility of both as a communicator and source. You may anger reporters who did not have the benefit of the leak or advance. If they are sufficiently disgruntled, they may choose to not honour your embargos in the future, or they may ignore your story leads altogether. I remember being yelled at for 5 minutes by a CBC reporter when one of my clients – against my advice – decided to release their story to a friendly reporter at another outlet before the news conference. It was not pleasant – and the relationship was damaged. Social justice groups are sometimes accused by reporters of being unprofessional and unreliable – often because they tend to break embargoes — so your organization may already be behind in terms of credibility at the outset. If you do decide to take the risk and offer an advance to a trusted reporter or editor, then don’t give away every element of the story (unlike an exclusive – see below). Decide exactly how much information you are willing to part with in advance, and stick to that. Keep the interview very short. Make it clear to the reporter that you are withholding some information. What you are really doing is trying to get the reporter to raise interest in your story, not lower it by making subsequent stories by other reporters “old news.” For example, if you’re releasing a report, don’t give them the full report, but just key findings — just enough for them to write a 300-word story or do a 30-second news item and make sure there’s something left for them to report the next day. Also, make sure the reporter knows that you are giving them an advance. And next time, if you again decide to offer an advance, consider offering it to a different news outlet. Spread the goodwill around if you can – keep building those relationships! Finally, a word on “exclusives”. Giving a reporter an exclusive means you are giving her the whole story, including all the elements you have at your disposal. Generally, if you are offering a key reporter an exclusive, it does not make sense to then hold a press conference. It will almost always guarantee that other outlets will be reluctant to show up at a news conference to hear the same story –and who can blame them? An exclusive should be regarded as a stand-alone media tactic, separate from a news conference. As such, it can be very effective. For example, if your target audience is federal policy makers, an exclusive in a national daily can be an invaluable way of delivering your message. 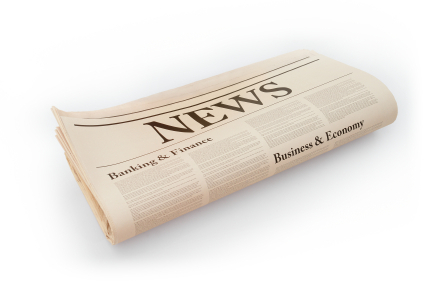 Today’s post continues my three-part series on smart, high-impact news conferences. On the morning of the news conference, send out the news release – a one-page, pithy, well-crafted version of the story. In most cases, you will want to ensure the release is ’embargoed’ until the time of the news conference. That means you’re asking reporters and editors to NOT publish or broadcast the actual story until the news conference itself (for more on the risks and benefits, see Part 3). Otherwise, if the story is already out there on the airwaves, it might not be worth a reporter’s time to cover it; unless the story is huge or the speakers wildly compelling, it may already be considered ‘old news’. To ‘embargo’ a news release, simply write “Embargoed until” with the time and date (e.g., April 3, 2010, 10:00 PST). In brief, the release should detail highlights of the news you will release, one or more strong quotes from your spokespeople with their titles, and clear contact information. At the news conference itself, be sure to assign a ‘greeter’ at the door, and keep a sign-in sheet for reporters to record their names, titles and outlets. Ask for their cards if you can. This tracking of who attends is so important – it allows you to identify faces to names (again, the relationship-building), track who may be covering the story, and identify reporters who may have a particular interest in similar stories in future. It allows you to screen out uninvited non-journalists – if you have well-organized opponents, they may send people to plant hostile questions or disrupt the event (regrettably, this does happen). Tracking also allows you to identify which outlets did NOT attend. Be sure to follow up those outlets afterward; you may even have another staff member or volunteer doing this during the news conference. And be prepared to re-send the news release to them—many still will not have seen it. For those attending the conference, ensure you have copies of the release and additional background information (speakers bios, maps, graphs, fact sheets, possibly an FAQ, images in digital format etc.) available for them on site. Ideally, provide a CD with high quality, high contrast head shots for each of your speakers. If you have B-roll or background footage available for them, provide clearly-labelled DVDs; they may be able to use it. A few years ago I worked with the Raincoast Conservation Society on a new study about threatened, unique coastal wolves. They provided high-quality, hard-to-get footage of these rare wolves in action, footage no outlet would have been able to obtain on their own. The story ran on every major TV outlet throughout the day. Pharmaceuticals regularly provide background or “B-Roll” footage of scientists and doctors in white lab coats measuring tests tube and monitoring patients, or gel capsules being filled with medicines in factory conveyer belts. It all looks very impressive and once again, add colour, life and ‘stickiness’ to a story, making it that much more likely to both run, and have an impact on your audiences. It’s a good idea to have two to three speakers, each one fulfilling a different role (eg. main spokesperson; technical or policy expert; person suffering effects of story, etc). More than three is generally overkill – it will take too long, people will get bored, and your message could get lost or confusing – it can be very challenging to keep more than one or two speakers ‘on-message’. Make sure that each one is a genuine expert on the subject being addressed; don’t put people up there just because they have status in your organization. Ensure your speakers avoid reading notes. Speakers reading from their notes are almost always monotone, stilted and less engaging (and therefore less quotable) than those who speak directly to their audiences. Keep each individual presentation short (1-2 minutes per person). Practice these in advance. Ideally, keep the overall presentation portion of the news conference to a maximum of 15 minutes, allowing plenty of time for questions. Keep the entire conference to 45 minutes or less, including reporters’ questions. If possible, and depending on your region and your target audiences, it can be extremely useful to have a spokesperson on hand who knows the issue well AND can speak to media outlets in other languages, such as French (in Canada), Spanish (in the US) or Mandarin. If your story is highly newsworthy, be prepared for a news scrum right after the conference, where reporters may throng around your most engaging speakers to seek direct comments and quotes. This can be frenetic if you have also arranged individual interviews; make sure your speakers have rehearsed answering anticipated questions thoroughly. Also be prepared to arrange individual interviews following the conference. Make sure you have at least one staff or volunteer member to handle this; it can get frenetic for a high-profile conference. If your speakers are bilingual, this is where you should line them up with your priority non-English speaking reporters. You’ll also want to ensure that there are tables for holding these items. Display table (if you don’t have one already) for posting mounted images or banners. Avoid placing your presentation area against a window (for photo and video). You may want to invest in branded materials, such as a large banner for the backdrop, a sign with your organization’s name and logo for the podium, and/or clear high-quality maps or images off to the side. Two to three days after the event, review your media sign-in sheet, monitor the coverage you received from attendees and non-attendees alike, and evaluate success of the press conference in relation to the time, energy and money it took to hold. Ask your team, “what did we learn here? How can we do it even better, with less energy and more powerful results, next time?” And please, do the work around documentation. Be sure to go through and update your media list here; don’t rely on peoples’ memories to track who showed up, how they covered it and who might be worth following up with next time for similar stories. This is a vital part of the learning and relationship-building process for any media practitioner. Nothing launches stories into the heats and minds of our audiences like a powerful image. So don’t miss “Behind the Lens of a Veteran Photojournalist: How to Tell More Compelling Stories Using Photos” on Wednesday, April 21st at 10 AM PDT. It’s the latest webinar from the brilliant media and messaging team at Resource Media in Seattle. It’s one hour, it’s free, and offers concrete tips and tools for social change & environmental organizations. Presenters are Matt Brashears (12 year photojournalist) and Sian Wu (communications guru); click here for details and to register. Last week, when I was facilitating a media training session for the Center for Progressive Leadership, a couple of the participants wanted more information on news conferences. Now’s as good a time as any! Today’s post is the first of a three-part series on smart, well-organized news conferences that can generate high-impact media stories and build relationships with key reporters. Why invest in a news conference? Let me count the ways….. A successful news conference can launch your story into dozens of media outlets – and into the hearts and minds of thousands of potential supporters – in one fell swoop. A news conference driven by a solidly newsworthy story is an event; it can help create the news. Once the ball starts rolling and enough key media are convinced they need to attend, then you have a golden opportunity to shape the message by choosing the right location, backdrops, and spokespeople, as well as preparing solid background materials anticipating tough questions afterward. As well, by bringing reporters and your people together face to face, a live news conference can take you and your spokespeople one step closer in the ongoing quest of any smart communicator to build relationships with key reporters. There are a host of considerations and several steps to planning and carrying out a successful news conference. A news conference is the way to go when you have a really, really newsworthy story with clear hard news value. But be warned: They are risky. I have always been very conservative about choosing news conferences. Here’s why: First, news conferences are time and energy-intensive to do well. In some cases, they are also very expensive. And they are a gamble; even if you think your story constitutes “hard news”, you can’t ensure the press will attend. An unattended press conference is not only demoralizing – it may also send the message that your issue is not worth covering. It can make you, your organization and your cause look weak. And of course, it can end up feeling like a waste of time and money. If you can, first try to find out whether any other major stories are taking place on the date on which you plan to hold your news conference. If you have a relationship with local reporters, one or more may be able to tell you if another event is already scheduled for that day. Of course, there’s no guarantee some more dramatic unexpected story will supercede yours (war breaking out, planes full of world leaders crashing etc), but best to plan where you can. Generally, it’s best to hold the event at 10:00 am on a Tuesday, Wednesday or Thursday for daily print media,, whose daily story meetings are typically around 9:00 am each morning. TV and radio outlets will have several news segments throughout the day, but the 6:00 evening news typically reaches the widest audience. If you hope your news conference will create follow-up stories, never hold it late in the day or late in the week. Sometimes weekend press conferences can generate stories in the thin news of Sundays or Mondays – but it is a gamble. People (even a few journalists I’ve met) are often confused about the distinction between a media advisory and news release. So here’s the deal: the media advisory is a short “ teaser”, sent usually 2-3 business days in advance of the actual news conference. It’s aimed at convincing editors and reporters that there IS a story and they need to be there to cover it – without giving too much away. If they knew the whole story beforehand, why would they come? Timing: Send the media a media advisory 2-3 business days before the event. Content: Keep it short – one page or less. Include the 5 Ws (who will be there, when and where, what the topic is, why it matters). Include the name, titles and credentials of the speakers. Images: Highlight any photo or image opportunities; this can make the difference between an outlet sending a camera or photographer or not. And you definitely want the cameras. Remember, a picture is worth a thousand words – the more images that accompany the story, the more likely it is to both run, and be remembered by your target audiences. For stories aimed at a large number of media outlets, it may make sense to invest in a newswire service, like Canadian Newswire or PR Newswire in the U.S. But even if you do, it is essential that you maintain your own media list with phone numbers and email addresses. That’s because “pitching” the advisory afterward – that is, calling and/or emailing your target reporters and assignment editors to sell the story to them – is an essential part of the process. Ensure that your media list includes key non-English media as well, such as French, Mandarin, Tagalog or Spanish, depending on your key audiences. If you’ve got speakers who are bilingual, note this in your advisory and/or follow-up calls. I’ve found that typically one-third of the editors and reporters I’ve contacted afterward say they haven’t seen the media advisory, especially if I didn’t send it directly to their personal email boxes. Following up directly ensures they receive it if they are interested. It also helps gauge the level of media interest in your story; and of course, may help build a relationship with that reporter just a little bit more. If they aren’t interested, you can always ask – politely – why (versus challenging them or getting offended) and use the opportunity to learn.